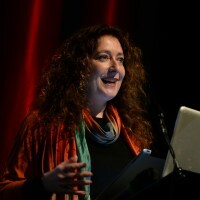 In the next interview with sponsors of prizes at The Pixel Market 2013 we speak to Fleur Winters, head of Cinekid for Professionals, who is backing the Cinekid Pixel Market Prize for a second year. 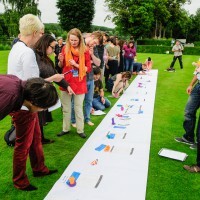 The winner of this prize, awarded to the best project aimed at children and young people, will receive free accreditation at the Cinekid for Professionals co-production market in Amsterdam in October, as well as travel and accommodation. Fleur talks here about the prize, younger audiences, and why Cinekid and PttP make perfect partners. PttP: This is the second year that the Cinekid Pixel Market Prize will be awarded. What did you learn from the process last year? And what will you be looking for in the winning project this time? FW: Michael Luda, the producer of The Slumbers, which was awarded the Cinekid Pixel Market Prize in 2012, emphasized the added value Cinekid for Professionals and The Pixel Market have. Both markets bring together very different professionals, therefore immediately enlarging the potential to find future financing for projects. We organised over 20 meetings for this project [The Slumbers] and highlighted it during our award ceremony for professionals. We learned that the prize was a huge success and the producers were thrilled with the opportunity and the network offered at The Pixel Market. This year we will be looking for innovative, quality driven, creative projects with international potential. PttP: When we spoke last year you shared some fascinating facts with us about the way children and young people use media. The four to 14-year-olds at whom the projects you’ll be considering are aimed are not simply passive consumers, of course, but participants whose habits shape and inform cross-media production. How can producers ensure they keep up with, and respond to the way successive generations of digital natives are engaging with media? FW: I want to highlight two ways to keep updated on the latest industry trends and children’s engagement with media. First, it’s very important to keep yourself updated! The target audience – children – consume media in a very different way to adults. They rapidly adapt to the latest (technical) developments. Recently somebody informed me that more and more TV series are being dubbed, compared to subtitled, because children consume media with a second screen. They are no longer fully focused enough to read subtitles – that’s just one of the consequences of the new developments. I therefore first and foremost urge everybody to visit Cinekid for Professionals and the Cinekid Experience. This is a two-day knowledge-sharing event where we highlight all the latest developments for film, television and cross-media focused on children. Second, stay in touch with your target audience. Once in a while sit in a cinema with children, see how they interact with apps, watch some children’s television and of course, again, visit our festival – you can do all this at our festival! We have over 60 screenings with English subtitles and over 50,000 children visiting the festival, you can visit the 1200m2 digital playground – ‘the MediaLab’ – with over 40 installations, games, apps, and so on, and see children interact. Or you can engage with the installations yourself during our MediaLab drinks where you can be the child, have a beer AND play. FW: This aspect is very important and Power to the Pixel is definitely an expert in bringing interesting and diverse key players in the enlarged media industry together at The Pixel Market. The shift in ways of consuming IP have not yet fully connected to the financing methods in the more traditional sectors. It’s extremely important to bring these ‘new’ players in contact with more ‘traditional’ media financiers and producers. It’s a win-win situation as all want to invest in projects that are innovative, of good quality and with international appeal, however the ways of financing and the various opportunities to collaborate are often still in progress. Markets like The Pixel Market and the Junior Co-production Market also create an increased awareness of the necessity to work together and often organise various expert meetings and seminars to debate what the best steps are to collaborate on a production /finance level and on a creative one. PttP: What do you find most valuable – and most exciting – about the partnership between Cinekid for Professionals and Power to the Pixel? FW: The added value both platforms have for great projects to really reach out to two largely different sets of professionals while pitching the same project in less than two weeks. One of our core tasks is to provide a platform for international producers to find partners and financiers to find great new projects. We are here to help the industry and give them tools to further projects, finished productions, knowledge, and so on. By partnering with PttP I believe that we have strengthened our objective by offering complementary platforms to the professionals. And we shouldn’t forget that it’s also wonderful to discuss industry trends, relevant topics and industry needs with the experienced team at Power to the Pixel. They have been involved in cross-media for a long time now and are involved on an all-age level, where we fill them in on the children’s market developments and the cross-media related trends there. Again, for me the partnership with PttP is a perfect match and hopefully we can help many producers find the right financiers and vice versa. The Cinekid Experience which Fleur discusses is taking place as part of Cinekid for Professionals in Amsterdam from 21 to 25 October. 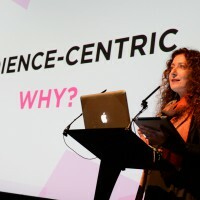 Visit www.cinekid.com for the latest updates on speakers, programme, and attendance.